When I was first diagnosed with Stage IV metastatic breast cancer, I didn’t want to talk about it to anybody. I grudgingly talked to doctors, but I didn’t want to go to support groups because I feared they would either be full of much older patients trying to work through death-related issues (something I wasn’t ready to consider), or young women, just finished with their treatment for an earlier stage cancer, looking at me like I was their nightmare come true. 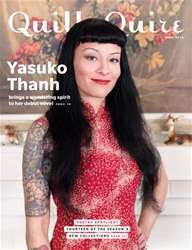 YASUKO THANH brings a wandering spirit to her debut novel.